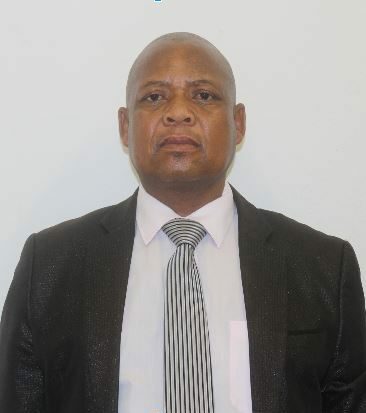 Major Pitso Lesia was appointed as Director Security and Safety in September, 2017. His overall mandate is to command the department and ensure effective performance of Security and Safety and the maintenance of law and order. He has attended several military command courses locally and abroad. He is the alumnus of both the South African Air Force College and Zimbabwe Staff College. He started his career as a high school teacher from 1995 to 1996, after which he enlisted in the Lesotho Defence Force in 1996. The Department of Security and Safety is a support unit answerable to the Registrar. It is responsible for the production of conducive teaching and learning environment through provision of peaceful and safe atmosphere and the retention of status quo to that effect. Tasks in this department are directed to this end through protection of life and property and maintenance of law and order in all NUL campuses and structures. This is done through prevention of crime and fire incidents, apprehension of offenders and extinguishing of fires. The department provides services to the main Roma Campus, IEMS Maseru and Mahobong campuses and all NUL structures. The Department is divided into two units namely Security as well as Fire and Safety. It is responsible for providing and promoting peaceful safe learning and working environment in the Institution. The tasks are based on protection of life and property; and are divided into crime prevention and proactively into apprehension of offenders and detection of crime. Fire and Safety Unit is a support service unit under the Safety and Security Department which was formed in 1989 following a catastrophic fire that gutted down Gilbeault Hall Students Residence on May 10th the same year, to deal with fire incidents and avoid recurrence of the similar incident. The Fire Unit is aimed at providing and promoting a safe learning and working environment free of fire and occupational accidents/incidents for students and staff. Dip. Safety Management (Oxbridge Academy RSA) Cert. Practical Firemanship Course (NUL), Cert. AMKUS Rescue System Course (RSA), Cert. IFEX 3000 System Course (RSA), Cert. Plumbing (Lerotholi Polytechnic), Cert. Defensive Driving Course (Lesotho National Skills Development Co).